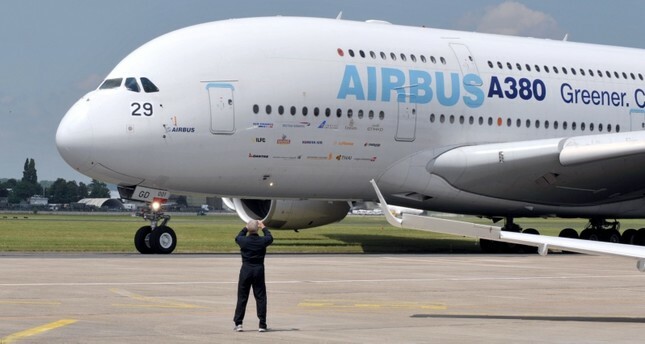 European aviation giant Airbus said Thursday it will stop making its superjumbo A380 in 2021 for lack of customers, abandoning the world's biggest passenger jet and one of the aviation industry's most ambitious and most troubled endeavors. The decision could hurt up to 3,500 jobs, Airbus said. The company is releasing its 2018 annual earnings later Thursday and said the decision is expected to impact the results. The decision is a boon for rival Boeing and a crushing blow for Airbus. The European plane maker had hoped the A380 would squeeze out Boeing's 747 and revolutionize air travel as more people take to the skies. Making its maiden flight in 2005 and seated more than 500 passengers, the A380 was a major step in Airbus's efforts to compete on equal terms with Boeing and challenge what had been a cash cow for its arch-rival.